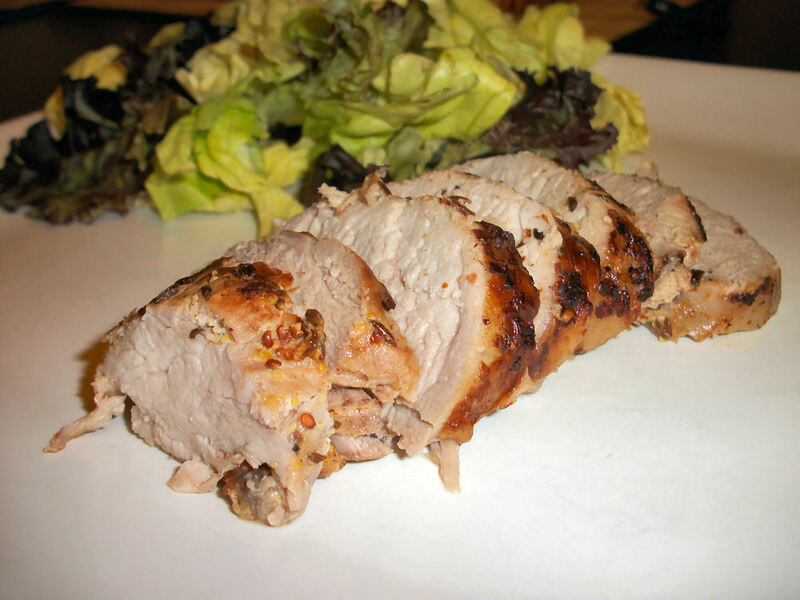 I have found that for some reason when a pork tenderloin comes out around here it tends to automatically go asian. Well that just isn’t fair to the rest of the world now is it? Well, sure we didn’t go far with this one since caraway is considered to be arabic in orgin but its a step right? Afterall, it did later spread throughout Europe. In fact it was once used an aphrodisiac in them thar parts. Sounds like a tasty way to a lovers heart to me! Such a nice and simple way too. Combine all the ingredients and allow to marinade for atleast 4 hours. Remove pork from marinade. Sear in a medium pan on all sides. Transfer to a 400F oven and bake for 15 minutes. Did I not tell you it was going to be simple? This serves four. Each serving contains 218 calories, 9.2 grams of fat, and 3 grams of fibre. This is great with a butter lettuce and radicchio salad.